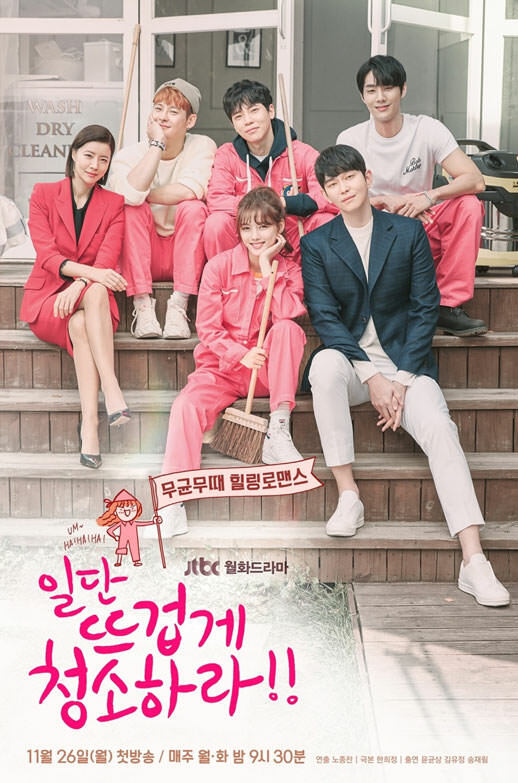 Summary : Jang Sun Kyul (Yoon Kyun Sang) suffers from mysophobia (fear of germs) and operates a cleaning company. He meets Gil Oh Sol (Kim Yoo Jung), who has a bright personality, but does not mind getting dirty. With the help of Oh Sol, Sun Kyul faces his fears and falls in love with her. Meanwhile, Choi Koon (Song Jae Rim) is a mysterious man who lives on the rooftop of Oh Sol’s house and is known for being a free spirit.